Architect Don Schmitt is in Ottawa this week to launch what appears to be an extensive public engagement program for designing the new super-library, a unique partnership between the city and Library and Archives Canada. The dispute over the location is behind us, the $192 million is committed by two levels of government, and now the fun part — deciding what the new central library will look like and, perhaps more importantly, the sorts of spaces and services it will offer the public. The first of a series of workshops is set to begin at the end of the month: one on Feb. 28 at City Hall and another on March 2 at a location that's to be determined. 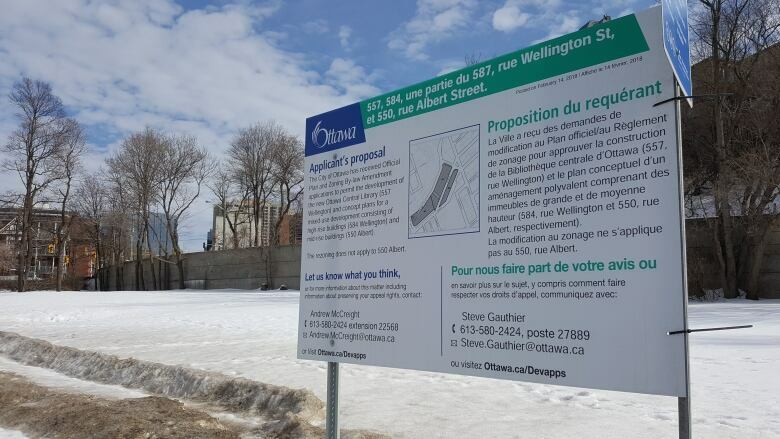 This initial consultation will begin with the architectural team describing the location — near LRT, on the edge of LeBreton Flats, near the Parliamentary precinct — and presenting three concepts for the new building. After the presentation, participants will split up into groups to discuss what they want. "It is a blank slate, in that we really haven't begun the conversation with the community and we think that's of fundamental importance," said Schmitt, a partner with Diamond Schmitt Architects, which won the design bid for the new library in partnership with Ottawa's KWC Architects. "That said, we're architects and we think with our drawing pencils. We absolutely have ideas … but those are ideas to be debated, to be talked about, to be turned on their head, upside down and sideways." Public libraries around the world are transforming from whisper-only repositories of books to community hubs with meeting spaces, social services, even access to music and video-recording studios. Schmitt told the Ottawa Public Library Board Tuesday evening about a library in Denmark that includes a make-up table for where young people can get ready in a group before heading out on a Saturday night. "The point of those crazy opportunities is [to do] what makes sense here," said Schmitt, vowing to reach out to communities who don't always volunteer for workshop-type events. A new central library, which has a federal component due to the partnership with the archives, must be a landmark building that is still accessible to the people of the city, said the Toronto-based architect. He also argued it should should set an example for sustainability, achieving at least a LEED Gold certification, although he would like to to see the new public space be a net-zero energy building. Other workshops will be held later in the year to further refine the vision for the library. The design team will also consult directly with Indigenous people. The "Inspire555 Series", named after the address of the new library at 555 Albert St., will also include pop-up mini-consultations across the country, online questionnaires and lectures. The final design of the new library will be presented in late 2019. Starting Friday, the public can register for one of the two workshops at Inspire555.ca.